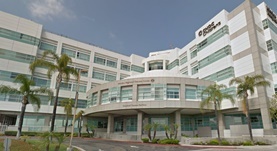 Dr. George Schiffman is a pulmonologist in Mission Viejo, California and he works at Mission Hospital. He got his diploma from Rush Medical College and did his residency in Internal Medicine at the University of California Irvine, where he also did a fellowship in Pulmonary Disease. The doctor is certified in Critical Care Medicine, Internal Medicine, Pulmonary Disease, Sleep Medicine and has an experience of more than 20 years. Dr. George Schiffman has contributed to 3 publications. Indomethacin and perception of dyspnea in chronic airflow obstruction. Schiffman, G. L., Stansbury, D. W., Fischer, C. E., Sato, R. I., Light, R. W., Brown, S. E.; Am Rev Respir Dis. 1988 May. Streptococcus pneumoniae infections and bacteremia in patients with acquired immune deficiency syndrome, with report of a pneumococcal vaccine failure. Simberkoff MS, El Sadr W, Schiffman G, Rahal JJ; Am. Rev. Respir. Dis.. 1984-12-01.Simberkoff MS, El Sadr W, Schiffman G, Rahal JJ; Am. Rev. Respir. Dis.. 1984-12-01. Safety of regadenoson, a selective adenosine A2A agonist, in patients with chronic obstructive pulmonary disease: A randomized, double-blind, placebo-controlled trial (RegCOPD trial). Thomas, G.S., Tammelin, B.R., Schiffman, G.L., Marquez, R., Rice, D.L., Milikien, D., Mathur, V.; J Nucl Cardiol. 2008-05-01.